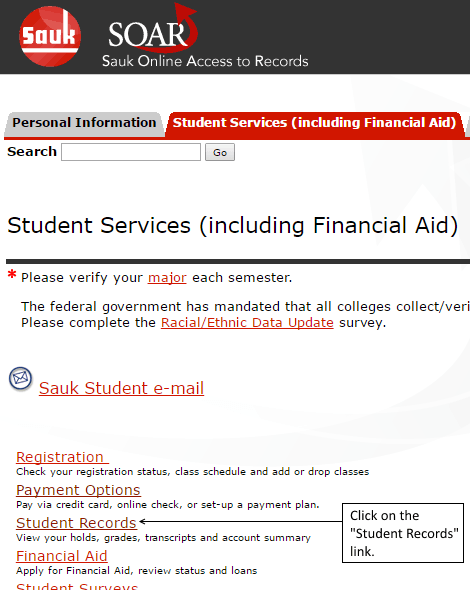 Click on the "Academic Transcript" link. 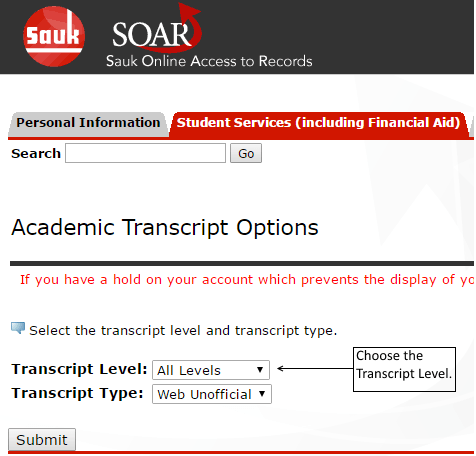 Choose the "Transcript Level" you would like to view. 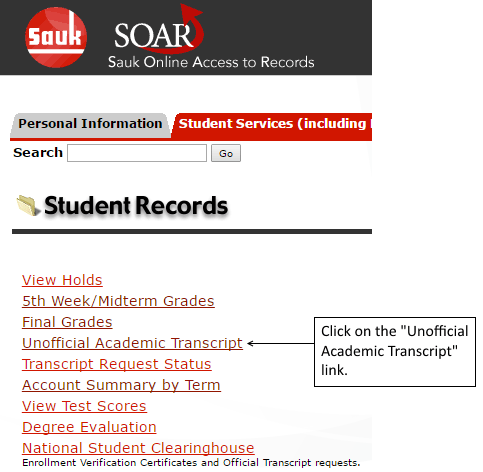 **Note- Transcripts off of the web are not official. Check with the Admissions office for an official transcript. 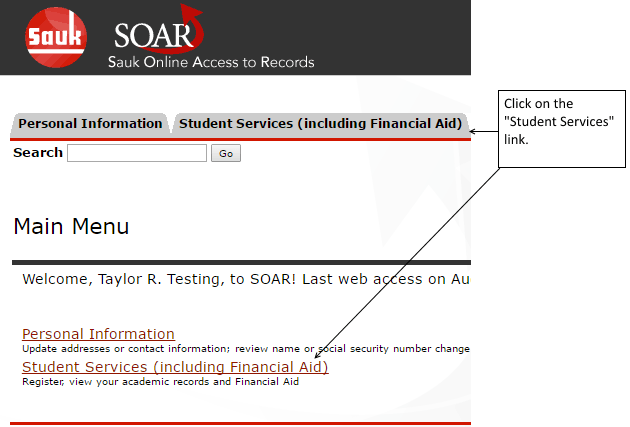 You will be able to see your unofficial transcript.